Accent rugs are probably one of the best accessories that you can add to a room to really accentuate and bring out a theme or style. Often using pictures and words, an accent rug takes the concept of rugs further than before and can actually become the central focus within an interior. Many people actually choose to give their accent rugs pride of place and hang it from the wall. Accent rugs can be braided, Persian, Orientals, rag, hooked and just about any other design. The concept that accent rugs have to be a specific style or shape or size just doesn't apply. Wherever there is a need in a particular room for a subtle contribution of warmth, accent rugs can and do fulfill a need. Be creative, and don't bother limiting yourself to specific, mainstream ideology. Many original concepts and ideas in decorating have evolved from a spontaneous impulse the designer employed when addressing the needs of a particular area or room. Accent rugs, no matter what you decide, provide just the right ambience needed for that special room and can be a fun and convenient method of reinventing a particular place in your home. They have the tendency to be less monotonous than larger area rugs, and can be customized to blend together existing colors and hues found in other areas of the room. If you find one that you really like, it is easy to build a room’s color scheme around it. 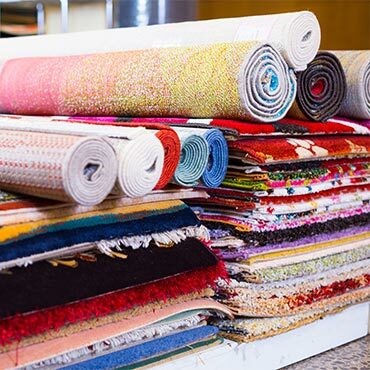 The majority of these rugs will combine just two or three principal colors, and whilst some people like to adopt all of these colors, most people tend to choose just one or two upon which to focus their design work, with the other shades perhaps being used as accent colors for minor accessories like lamp shades and cushions. Then once the accent rug is chosen, and you have selected the color or colors that you want to work with, all you have to do is find some other home furnishings that work well with this scheme, be it a sofa, a carpet, curtains, wallpaper or paints. Accessorizing with accent rugs can be the best part of decorating your new or existing home. With the right choice, it will add greatly to the overall ambience to whatever room you choose to display it. Finding just the right accent rug doesn't have to be stressful and time consuming. With improved technology enabling sharper print definition, brighter colors and textures, as well as improved stain protection, the sky's the limit when it comes to your choices. So, whether your needing something for the kids room, a culinary design for the kitchen, a warm and inviting touch in the bedroom, or a cozy addition to your family room, be assured that this can all be accomplished with a little effort and reasonable budget along with your unlimited imagination.